A trackpad is not a mouse. In some ways that’s obvious you swipe your fingers on it rather than dragging it around. 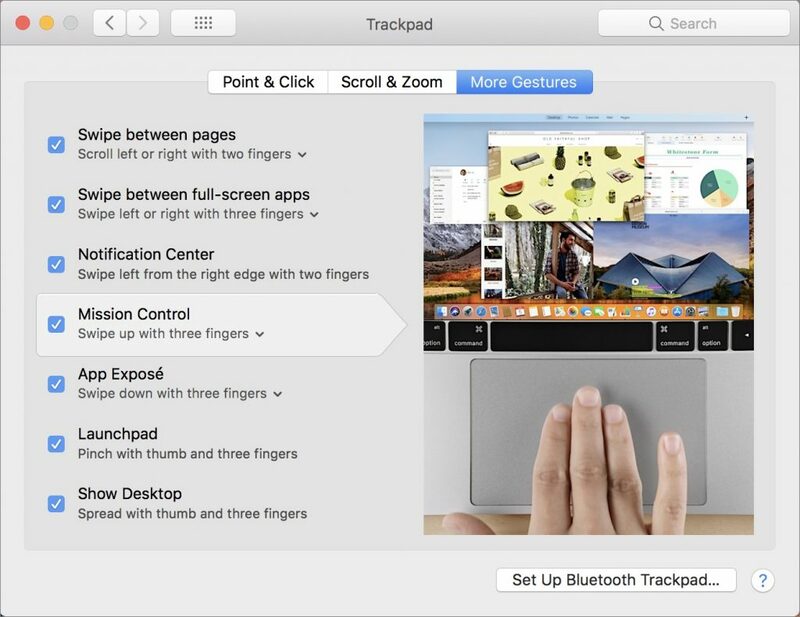 Less obvious, however, are the many gestures that make using a trackpad on your Mac faster and more fun. These gestures aren’t limited to laptop users thanks to Apple’s Magic Trackpad 2 which brings gesturing goodness to any desktop Mac. Here’s how to put your fingers to work. The four-fingers-down gestures are dramatic and an easy way to appreciate the power of trackpad gestures so we’ll start with them. Say you have a lot of windows open and you want to move them all aside quickly so you can open a file on the Desktop. Place your thumb and three fingers together on your trackpad and then spread them outward. Your windows scurry to the edges of the screen. To bring the windows back, reverse the gesture, pinching your fingers in toward your palm. If you haven’t moved windows aside pinching your thumb and three fingers together instead opens Launchpad which shows icons for installed apps. Click an icon to open that app or use the spreading four-fingered gesture to exit Launchpad. Move three fingers horizontally on your trackpad and either nothing will happen or you’ll switch to a different “desktop space.” This state of affairs is most easily seen by making an app full-screen. For instance, open Safari and click the green full-screen button at the upper left of the window. Safari takes over the entire screen including the menu bar (to put it back hover the pointer at the very top of the screen to see and click the green button again). What if you swipe vertically with three fingers? Swipe up to enter the All Windows view of Mission Control which shows all open windows as thumbnails plus desktop spaces in the top bar. Click any thumbnail to switch to it or jump to any space by clicking it. You can also click the plus button at the upper right or drag any window into the top bar to create a new space. To move a space’s apps back to the current space hover over a space on the top bar and click the close button that appears. To exit All Windows view swipe down with three fingers. 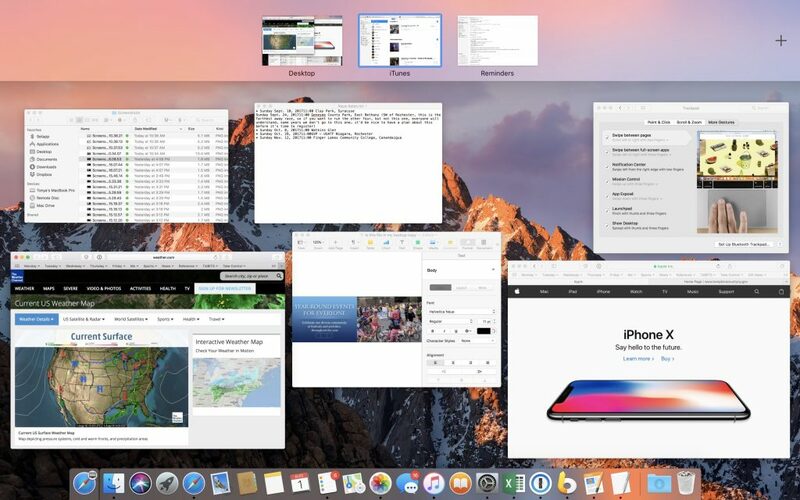 If you haven’t invoked All Windows view swiping down with three fingers instead invokes App Exposé view which displays thumbnails of all open windows in the current app. Click any one to switch to it. Swipe right or left with three fingers while in App Exposé to switch between apps. Finally, on older MacBooks that don’t have Force Touch-capable trackpads tap with three fingers on words to look them up on files to preview them with Quick Look and more. With newer MacBooks if you have “Force Click and haptic feedback” enabled in System Preferences > Trackpad > Point & Click, you can instead “force click” with one finger for these features that involves clicking on something and then pressing firmly without letting up. In Safari swipe left on a page to go back in that tab’s page history or right to go forward. Also in Safari tap two fingers on the trackpad to zoom in on the content. Another two-fingered tap zooms back out. In Photos and some graphics apps zoom in and out by pinching with two fingers and rotate selected objects by putting two fingers on the trackpad and turning them. A two-finger pinch also zooms the page in Safari. To open Notification Center quickly swipe left from off the right-hand edge of your trackpad. Swipe back to the right to close Notification Center. If you need a refresher on all these gestures open System Preferences > Trackpad. 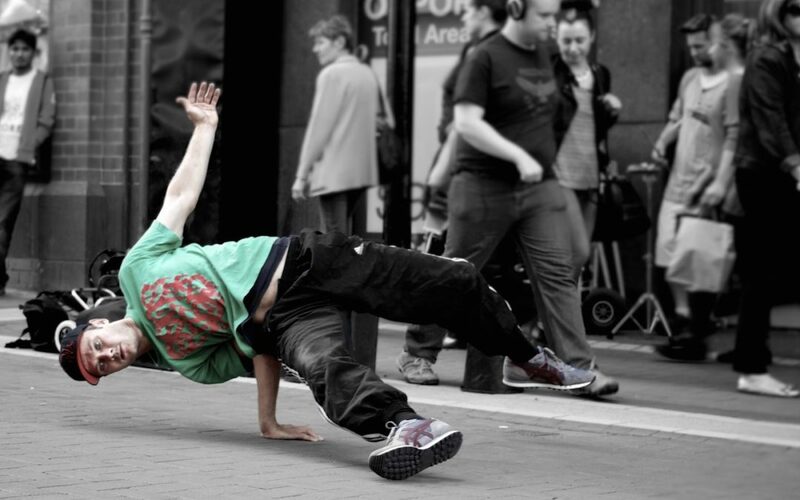 Look in the Point & Click, Scroll & Zoom and More Gestures panes to see a video for each gesture. You can also adjust which ones are active and how many fingers they require.